department of things that are unsurprising… | six words to change the world. ← my heart shall bleed right again. So, remember back around Christmastime when I posted about the best invention ever in the world? Which was a breakfast sandwich-making machine? And remember how none of you assholes bought it for me? 1. How great is the thought and planning that went into this gift? The idea was hatched more than a year before the gift was given, and was kept secret all that time! It still makes me feel warm and fuzzy inside to think about it. 2. My favorite gift that I received for my graduation from graduate school was a machine that makes breakfast sandwiches. 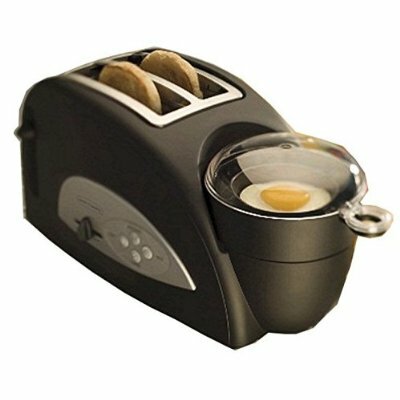 Here’s how it goes: you pop your bread in the toaster, crack an egg into the world’s tiniest frying pan, place your meat in the meat warmer, press a button, and spend the next ten minutes staring eagerly at your breakfast sandwich machine and reading the instruction manual, which says hilarious things like “Remove toast, egg, and meat. Assemble into sandwich, or enjoy separately.” And then…it’s ready. And the egg looks just like those freaky perfect round ones from McDonald’s. And suddenly, all is right with the world. Hahahaha! This is awesome. Now I want one too.